LightMe 2.0 is a small preferences panes and background daemon that allows you to change brightness and power of your monitor with customizable keyboard shortcut. 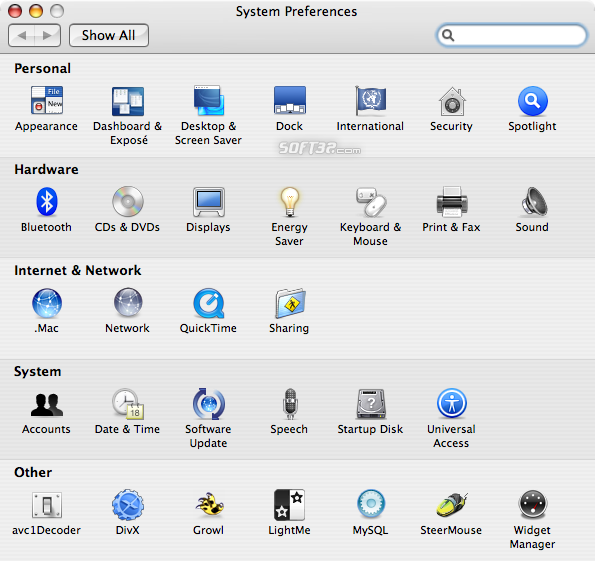 LightMe is a simple preference pane for the 'System Preferences' application which enables some useful features for your Mac. 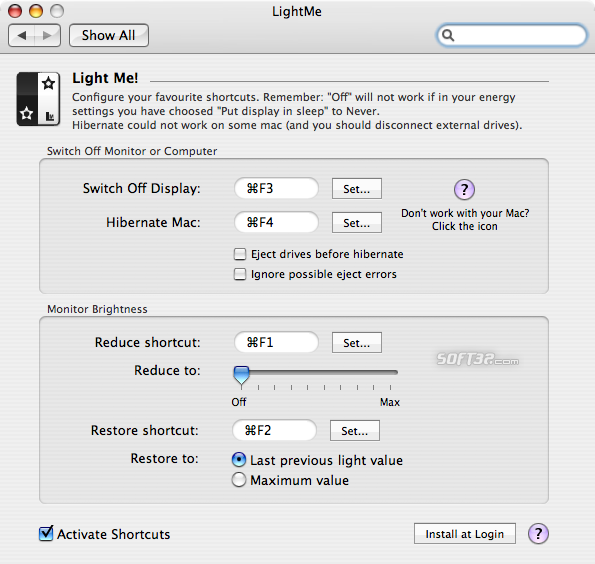 To be honest, I was looking for a way to enable the hibernation support on Mac OS X, so I found LightMe, a cool preference pane that does even more. Besides my preferred features, the hibernation and the display switch off, it can also lower the display brightness, or restore it to the default value. The whole thing is based on a set of customizable hot-keys. Besides the hot-keys you can modify preferences like: eject the drives before the hibernation, the ignore of the possible eject errors, define the reduce level of the brightness, and the restore of the brightness type. LightMe is powered by a daemon which is the backend of this program. The daemon can be either disabled or enabled at login. Pluses: it enables the hibernation support for Mac OS X, it allows you to quickly switch on/off the display, it allows you to quickly change or restore the brightness of the LCD display, it integrates nicely with the system because the application works as a System Preferences pane. In conclusion: this application is very useful for MacBook owners. It is also very useful if you want to use in a nice way features like hibernate or display switch off.